An airfield in Kannus municipality in Ostrobothnia, maintained by Kannuksen L entokerho ry Kannus Flying Club. 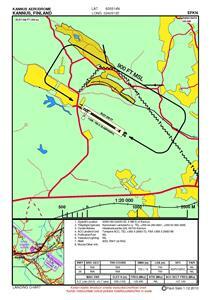 The Club flies Cessna 150 lightplanes, training private pilots. Own buitdings of the club are under construction. Possible to overnight e.g. at the Louekallio Leisure Centre, which has representative rooms and a sauna. 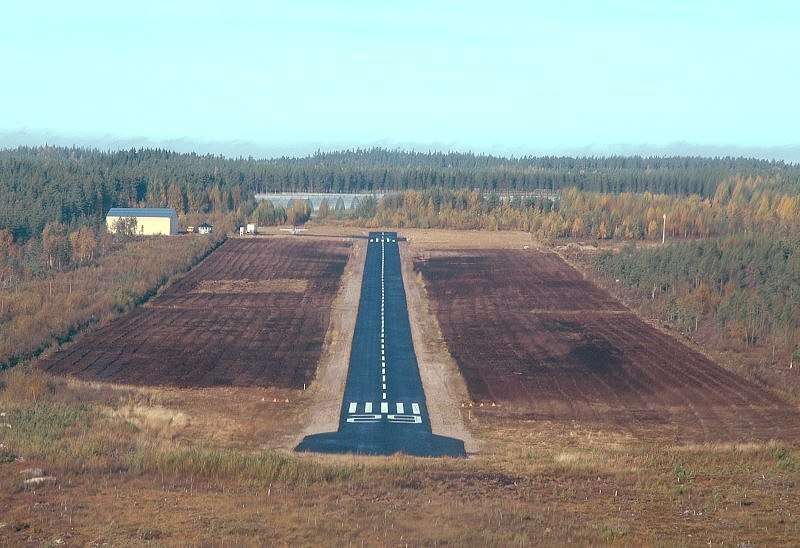 Runway in excellent condition. Taxiway and apron surfaced. 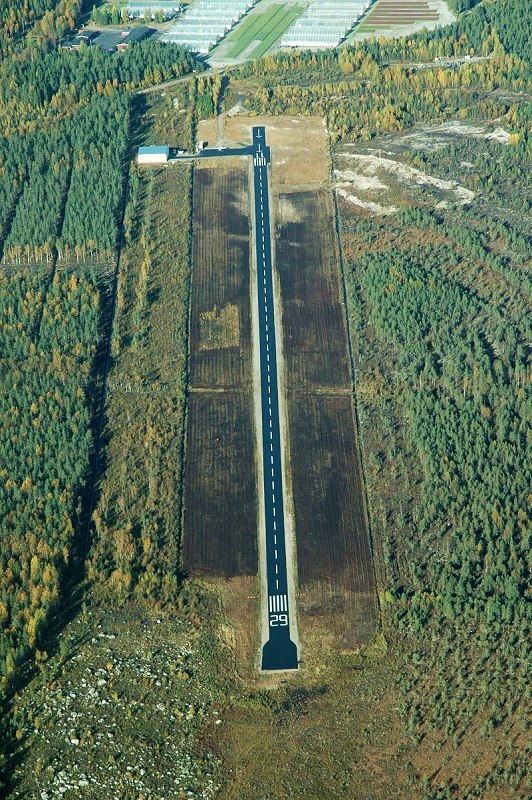 In the summer of 2012 the obtacles along the runway edges had grown so high, that they impeded the operation of large-span low wing aircraft. Timo Hintikka: +358 50 566 3885. Kari Niemi: +358 44 502 6902. Kimmo Kotka: +358 40 066 9884. Taxipauli: +358 06 872 709. Kannus airfield seen from the air in the autumn of 2005. Photo by Mikko Maliniemi. 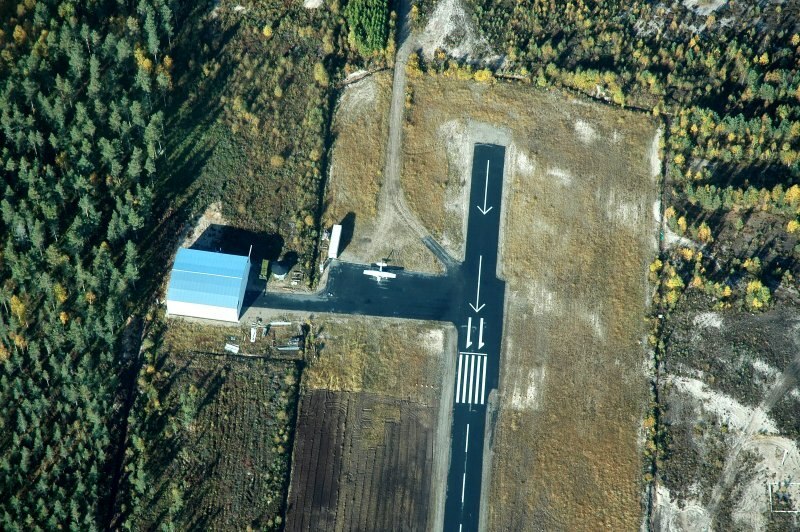 On final approach to Kannus runway 29 in the autumn of 2005. Photo by Mikko Maliniemi. 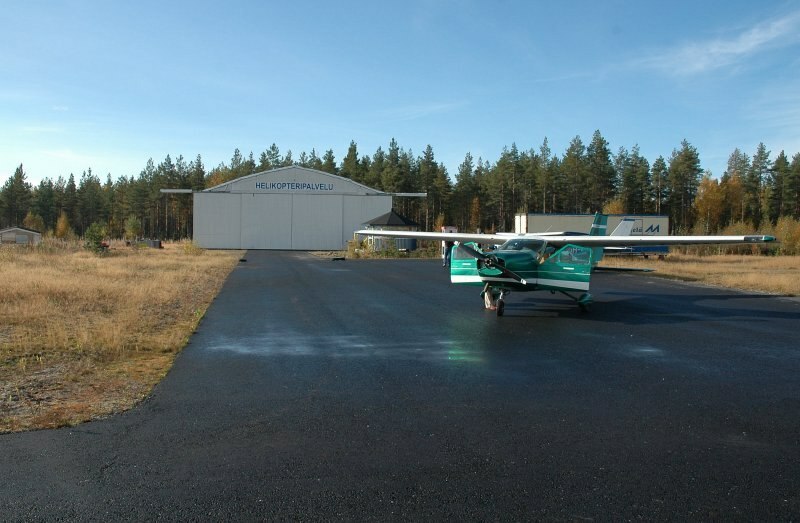 Hangar area in the autumn of 2005. Photo by Mikko Maliniemi. Guest at Kannus parking area in the autumn of 2005. Photo by Mikko Maliniemi.